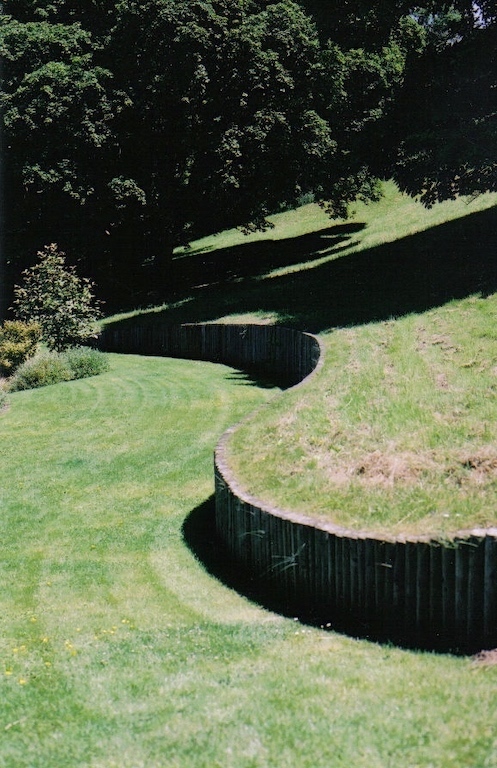 Part of a very large garden (4 acre) on a steeply sloping site in Sidcot Somerset. 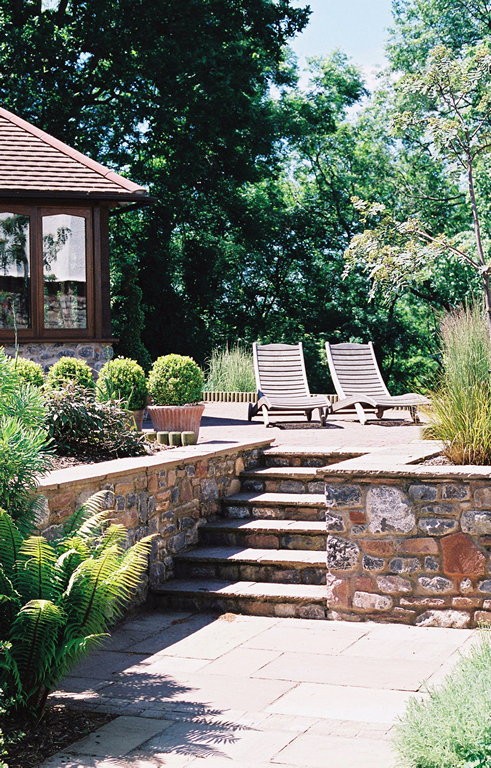 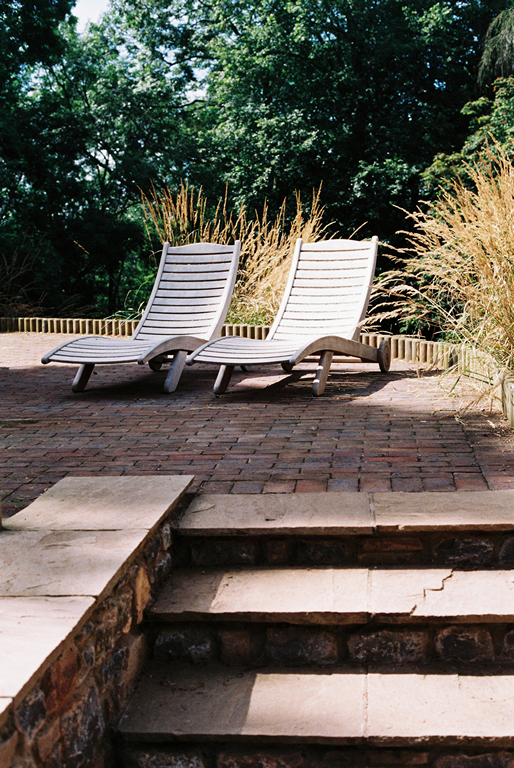 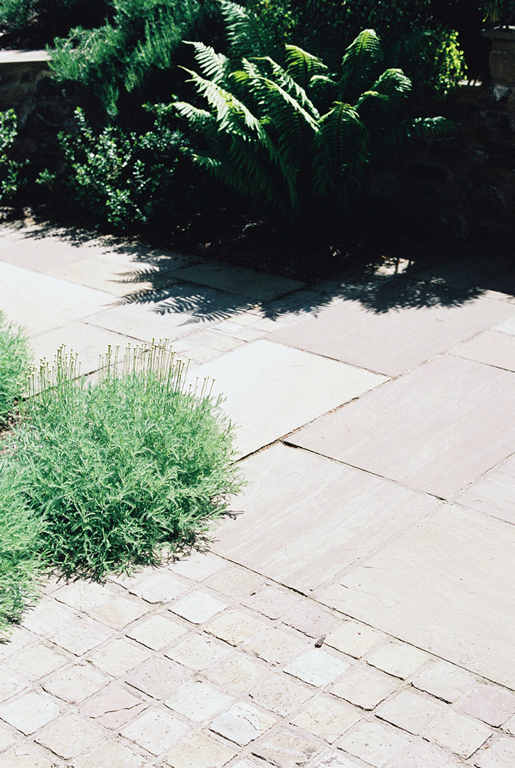 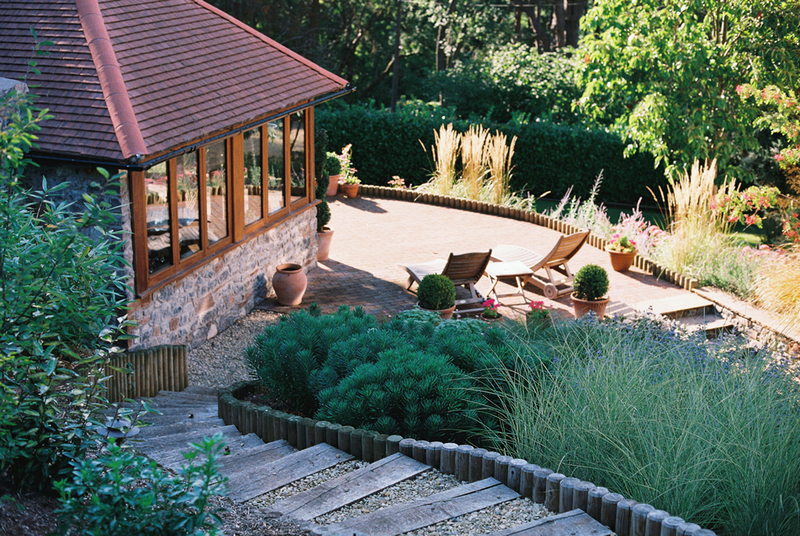 The garden has an relaxed style appropriate to the setting and features a large oak/stone summerhouse, brick and stone seating areas, a natural style stream and bonded gravel paths. 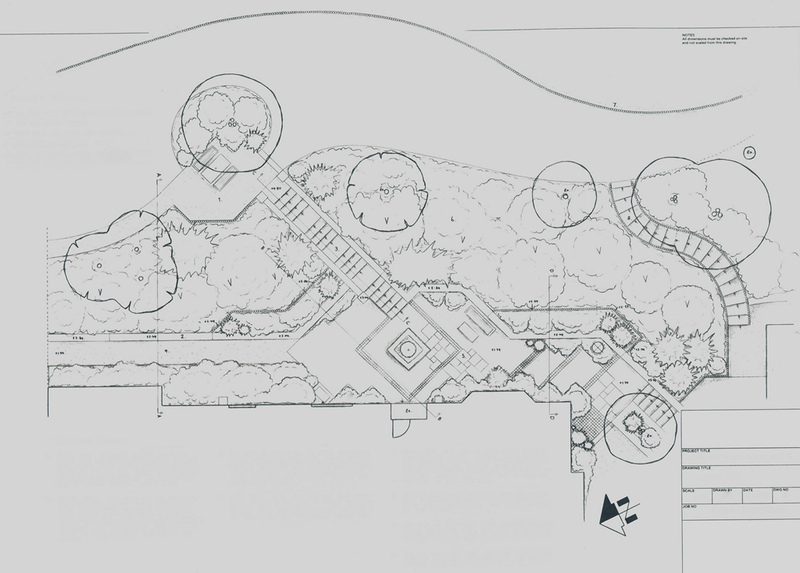 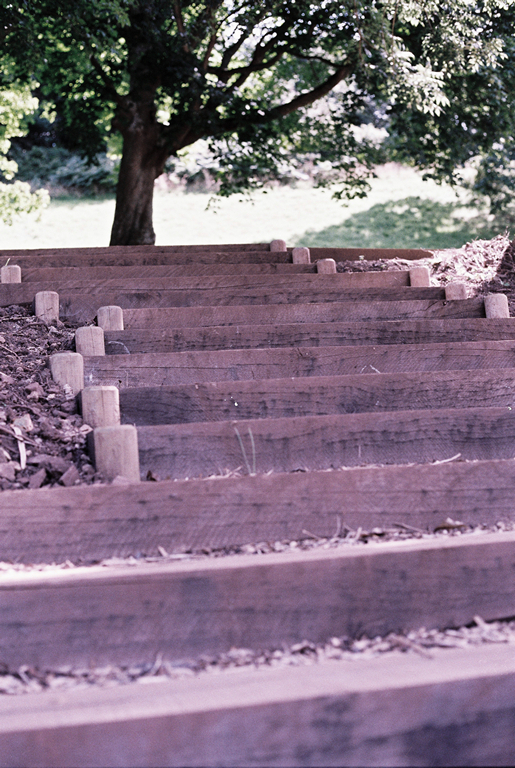 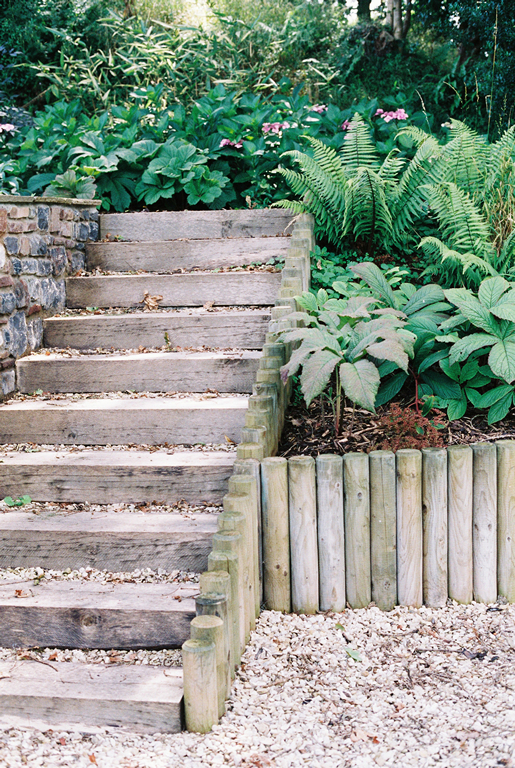 The layout includes a number of terraced areas with stone or timber retaining walls and inter-connecting steps. 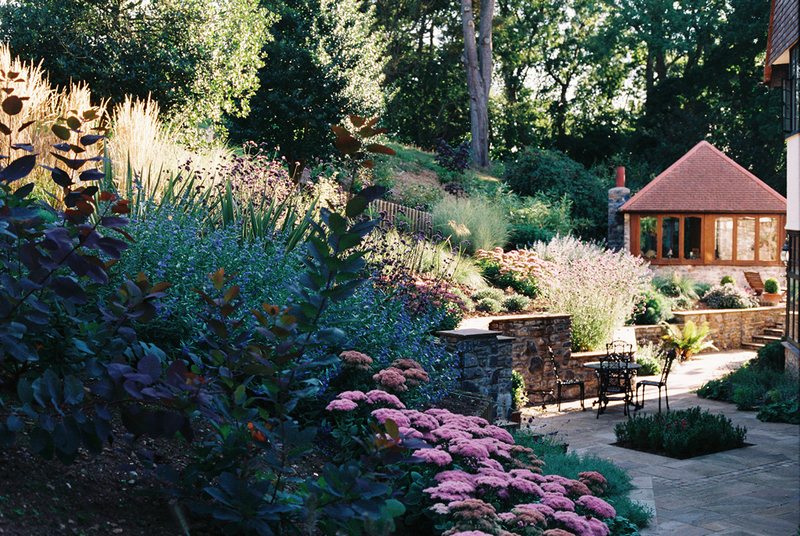 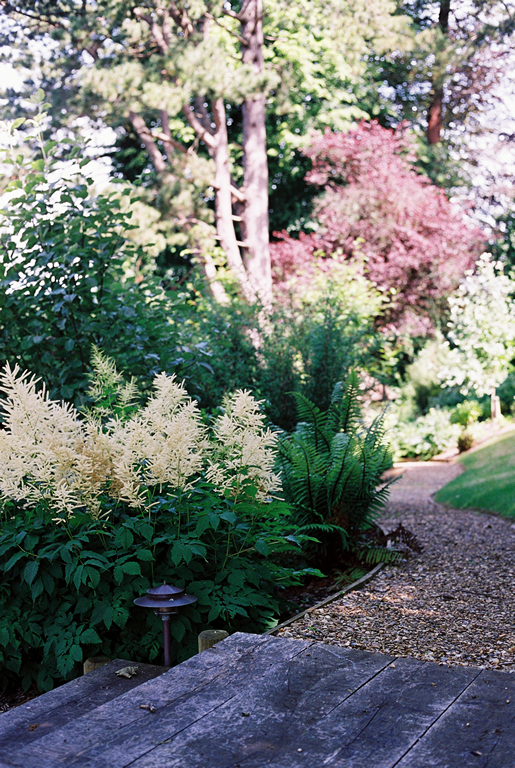 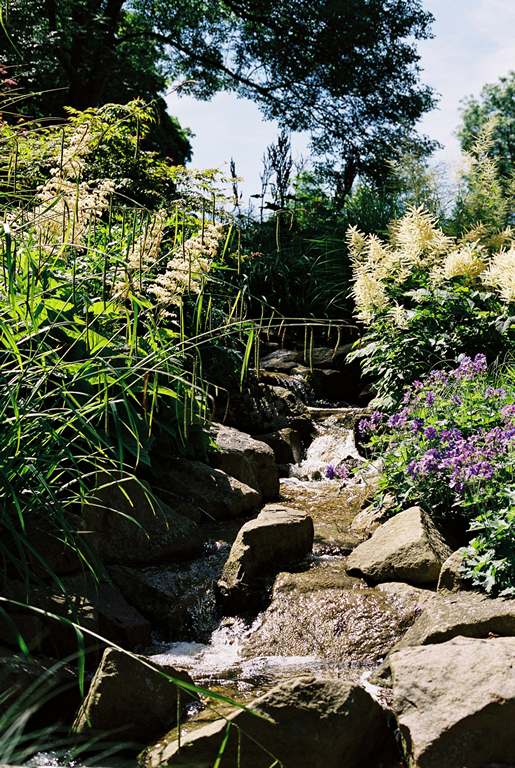 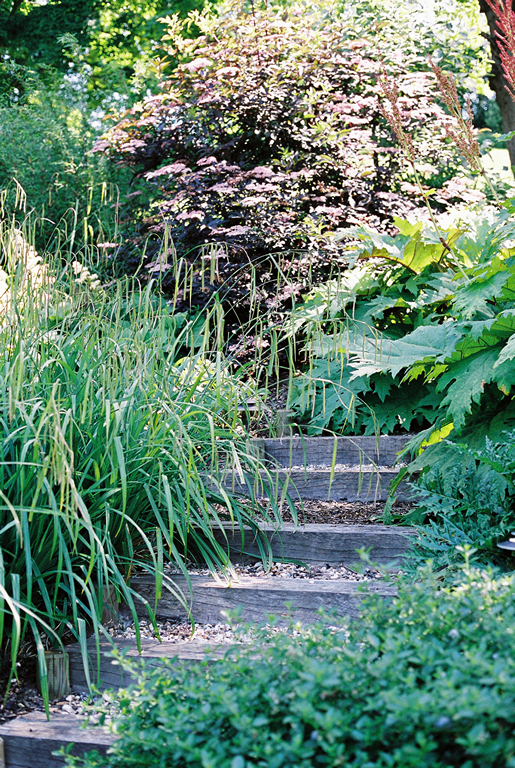 Specimen trees and large scale planting of shrubs, grasses and perennials connect the garden with surrounding woodland.